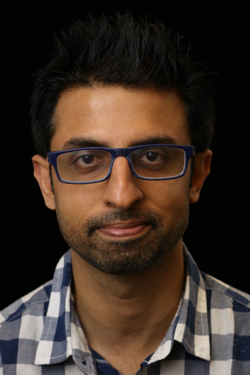 When I was first introduced to Zach Feldman, Chief Academic Officer and Co-Founder of The New York Code + Design Academy, I knew I was talking with an Alexa connoisseur. Before Amazon publicly released the Alexa Skills Kit, Zach was talking about how to add capabilities to Alexa. Couple this with publishing alexa-home, a popular project on GitHub to use Amazon Echo to control home automation software, before we even released the Smart Home Skill API. Zach has always shown a keen interest in the voice space. Fast forward a year later, it made complete sense to bring Zach’s knowledge of Alexa development to The New York Code + Design Academy. 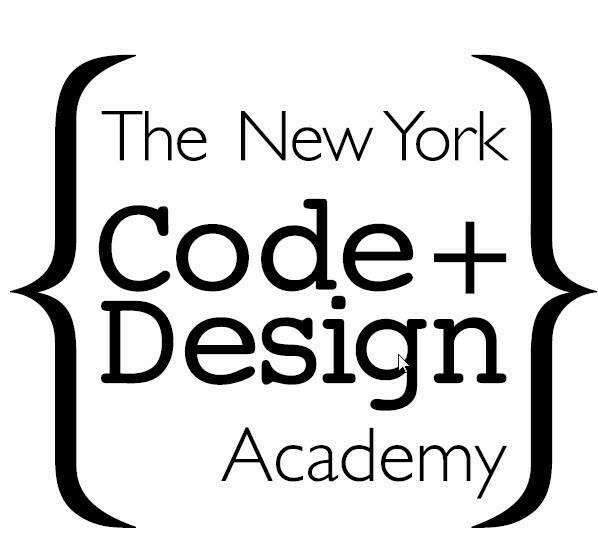 Today, I’m excited to announce a collaboration between The New York Code + Design Academy (NYCDA) and Amazon Alexa. NYCDA has been training developers – at all levels – with hands-on, intensive workshops in web and mobile app development for the past three years. This summer, NYCDA students will be able to attend the first in-person training on building Alexa skills with Ruby and Sinatra as the language and framework of choice. Students will begin by gaining an understanding of the Alexa Skills Kit (ASK). From there, they’ll move on to building an Alexa skill together as a class with both a simple skill and one that accesses an external API. 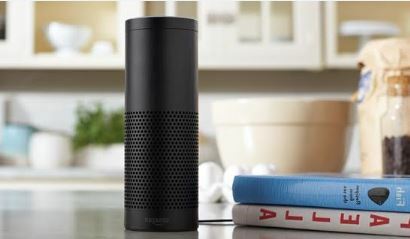 They’ll be able to test their voice user experiences with Amazon Tap speakers, Alexa-enabled devices provided by the school. The course will wrap up with an independent final project and will walk students through the process of certification and publication of their first Alexa skill. Classes will run from August 9, 2016 through September 27, 2016. To enroll, students can apply here. Wait, there’s more. Zach will be hosting a free lecture on the Alexa skill infrastructure and what goes into building your first skill on June 21, 2016 at 6:30 p.m ET at NYCDA’s headquarters in New York City. If you’re in the area don’t miss this opportunity to meet him, learn more about Alexa skill development, and ask questions about NYCDA’s 8-week Alexa course. Save your spot. 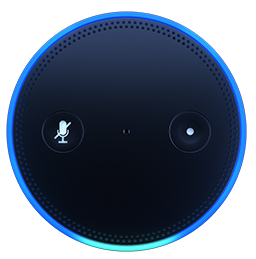 Learn more about the Alexa course from NYCDA here. 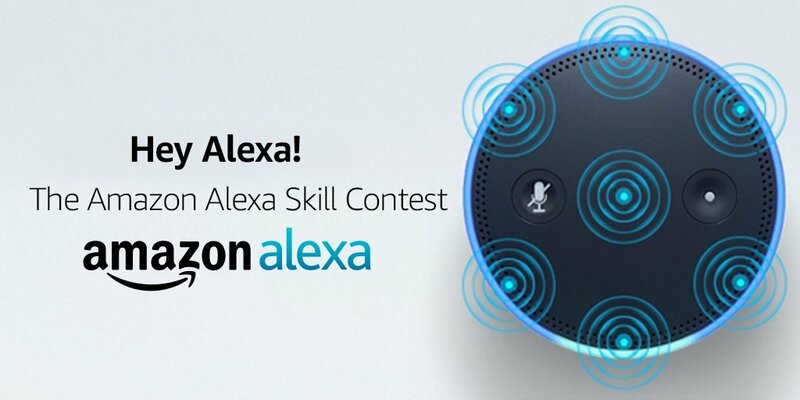 We launched the Alexa Skills Contest on Hackster.io in April. Two months later and we’ve reached the successful close of this developer contest. With 760 contestants and 100 published Alexa skill projects, innovative developers showed us how to use voice to remotely turn on a car, track the International Space Station, and more. The best part is that each project’s instructions and source code are available on Hackster.io. Check out all the project submissions and see how contest participants used the Alexa Skills Kit to enable voice experiences in everyday connected lives. First, thanks to all the participants in this contest. The high quality of submissions made selecting winners a difficult decision. 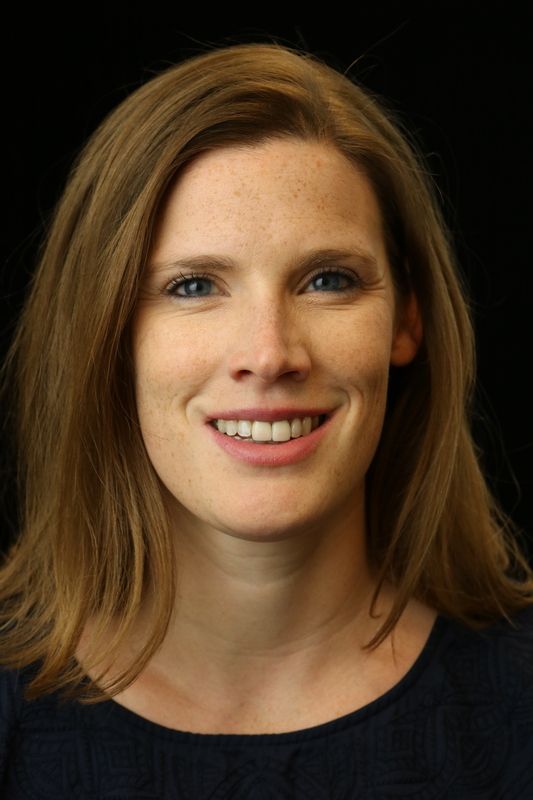 Contest submissions were scored on a variety of variables, including creativity, documentation, media quality, skill publication in the Alexa app, and more. Here are the top three winners and some honorable mentions. An Alexa skill that helps you become an expert at Morse code. Encode any name and learn from among more than 2500 codes. An entertaining, easy-to-understand game that uses voice interactions to reach beyond the Echo. Bringing families and friends together for a good laugh. Find out who represents you in Congress and Senate by searching by your zip code. Costa Rica news will get you the latest news from Costa Rica, all the information comes from local trusted sources like newspapers. An Alexa skill that retrieves the current performance of publicly traded stocks using company names. Get the the latest data on tropical storms or learn more about storms from prior years. Don’t forget to check out all the great Alexa projects on Hackster.io. 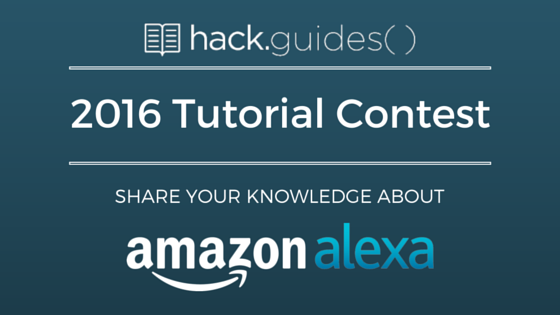 It’s a great way to learn how to build your own Alexa skills and get inspired. Ready to build your own Alexa skill? Build an Alexa skill with Node.js. June 16, 2016 Update: After we posted the initial list of winners yesterday, it was brought to our attention that the contest rules allowed for additional winners. This blog post has been updated to reflect the additional winners. Today, Alexa Fund recipient Luma Inc. announced that its home WiFi system is available for purchase and will begin shipping to preorder customers. Luma’s routers create a mesh network that surround the home with fast and secure internet to eliminate dead zones and buffering and to safeguard connected devices. You can pre-order your Luma device today on Amazon.com for $149. Luma also plans to create fun and unique Alexa skills for Luma customers. The skill will be released in the coming weeks and will initially allow Luma customers to pause and unpause their home internet. Today, we are excited to team up with hack.guides() to bring you a Tutorial Contest. Hack.guides() is a community of developers focused on creating tutorials to help educate and share technical knowledge. This contest is the perfect opportunity to share your knowledge, help other developers, contribute articles to an open-source project, and win a prize along the way. Hack.guides() tutorials bring the developer community together to create and curate collaborative content. With the GitHub API backend, hack.guides() tutorials can be forked, improved, and merged by simply using a pull request. Technical tutorials are a fantastic medium for developers to share their experience and best practices on a variety of technologies. Our guest bloggers have written a variety of tutorials on topics including how to use AWS IoT and Alexa Skills Kit (ASK) to voice control connected devices and how to easily publish changes into AWS Lambda via the command line interface. We also shared some community tutorials from Alexa developers on how to implement Google Analytics to monitor skill performance and storing variables with persistence to create innovative skills. Last week Pebble announced that they are integrating Alexa Voice Services (AVS) to Pebble Core, a new category of 3G-capable ultra-wearable device that lets you take music, weather, and more on your run. Unlike other Pebble devices, the Pebble Core is not a smartwatch. Instead, it’s a tiny standalone wearable device that’s designed to allow people to listen to music (via Spotify), runners to track runs, and more – all without a smartphone. With over 1,000+ Alexa skills built by developers using the Alexa Skills Kit, Pebble Core can tap into any number of capabilities. Watch the video to see it in action. Since the Pebble Core has its own 3G connectivity, connecting to Alexa does not require a smartphone and interacting with Alexa is simple. Just use a pair of wired or Bluetooth headphones with a built-in mic and say something like, “Alexa, what’s on my calendar today?” Whether you want to get your news briefing while you’re running on the treadmill, or check the weather before going out for a run, the AVS integration with Pebble Core makes it easy to just ask. 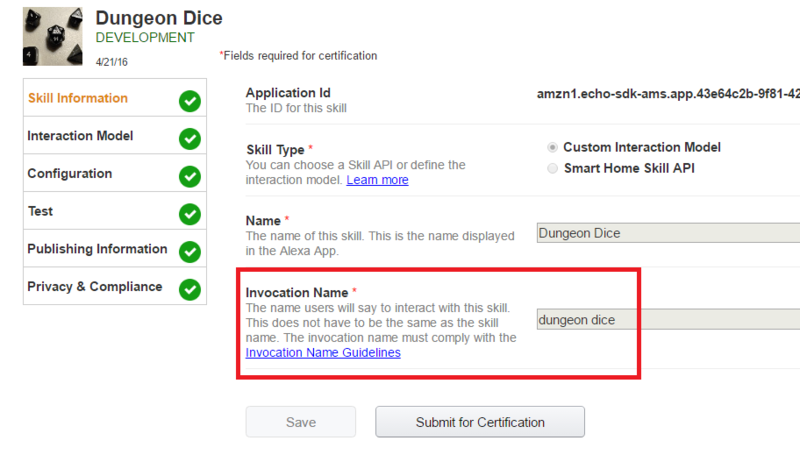 Experienced Alexa developer Eric Olson (Galactoise in the Amazon developer forums) had a mission to determine whether or not you could really create a custom skill from scratch within 24 hours. Eric did it in less than 12—and did it well—on a weighted, random-number-generator skill called DiceBot that he developed using Alexa Skills Kit (ASK) and a Lambda proxy. DiceBot would skew fairly evenly, instead of clustering on specific numbers. The randomness would be based on subtle differences in speech patte rns, so that players could roll the dice loaded or roll them fair without anyone being the wiser. 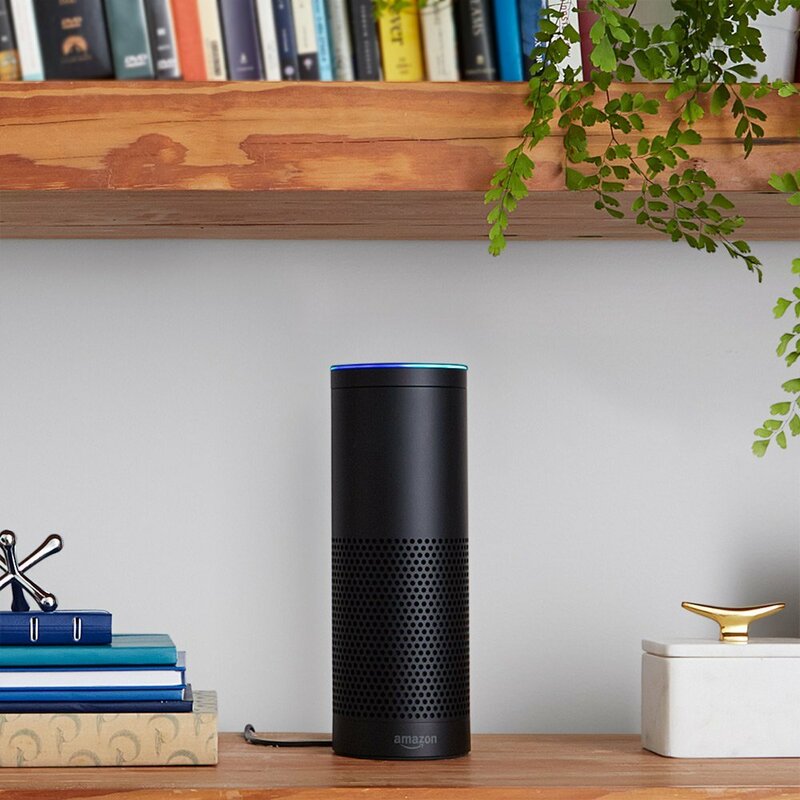 On April 5, 2016, Amazon announced the Smart Home Skill API, the public, self-service version of the Alexa Lighting API, which was introduced as a beta in August 2015. As part of the beta program, we worked with a number of companies to gather developer feedback, while extending the Alexa smart home capabilities to work with their devices. In 2015, the Alexa team wanted to make it fast and easy for developers to create skills that connect devices directly to our lighting and thermostat capabilities so that customers can control their lights, switches, smart plugs or thermostats—without lifting a finger. So they created a beta program to work with experts in thermostats and home comfort to gather developer feedback, while extending the Alexa smart home capabilities to work with their devices. That naturally led them to ecobee, creator of a smart thermostat that uses remote sensors to optimize the temperature in specific rooms. The engineers at ecobee jumped at the chance to help Amazon define the integration and product requirements for the new feature. Why? 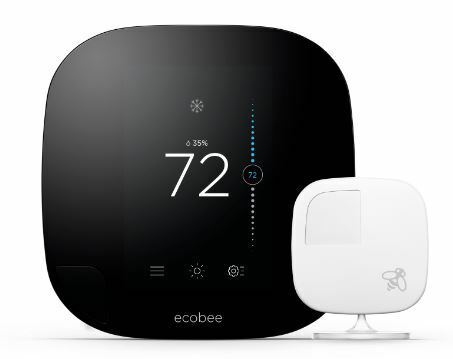 First, ecobee was the first to allow iOS users to control their thermostats with the Siri voice interface when they integrated Apple’s HomeKit API into their smartphone app. “But Alexa’s way different,” said Hesham Fahmy, Vice President of Technology for ecobee. “One of our biggest product benefits is ‘Comfort where it matters,’ which is especially true with our remote sensor capabilities.” To Fahmy, it made perfect sense to connect your ecobee device to Alexa and say, “Alexa, turn up the temperature” without needing to find your phone. Recently an entrepreneur approached software and design firm Macadamian with a unique product concept: an interactive NHL scoreboard. 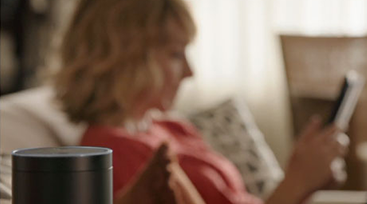 That WiFi-connected, voice-controlled gadget is enough to make any hockey fan drool. And while it was the company’s first foray into the world of Echo and Alexa, it was certainly not the last. Now Macadamian has launched an Alexa skill to bring “hands-free” to an action performed 6 billion times each day in the U.S. alone: sending a text message. What could have more mass-market appeal? Yet the company says it created the skill to showcase its expertise, not to gain millions of users. Further, “scribe” is also the skill's main verb, and there’s no need to repeat it. Scryb needs only a single, simple statement: “Alexa, tell Scryb I’m on my way.” Less to remember means it’s simpler for the user. We are excited to announce four new Alexa Skills Kit built-in intents that you can leverage immediately in your own Alexa skills. Think of the intent schema as the blueprint for what your Alexa skill will do. Built-in intents are common actions that you can choose to implement in your custom skill without providing any sample utterances. If you created an Alexa skill in the past, you may have leveraged some of the other built-in intents for your intent schema. With built-in intents, you can build a more robust skill with less sample utterances required in your interaction model. Leveraging these built-in intents is easy and allows more flexibility. Let the user pause an action in progress. With these additional built-in intents, you can help users easily and naturally navigate your skills, from being able to pause an intent or request in progress, go back to a previously called intent or resume an existing one. Users can use natural language and phrasing to support these common interactions, allowing you to leverage the built-in intents rather than having to handle these types of requests programmatically. Already have a skill? This may be a good time to update it with these new intents. Check out the Implementing Built-in Intents page for more information. 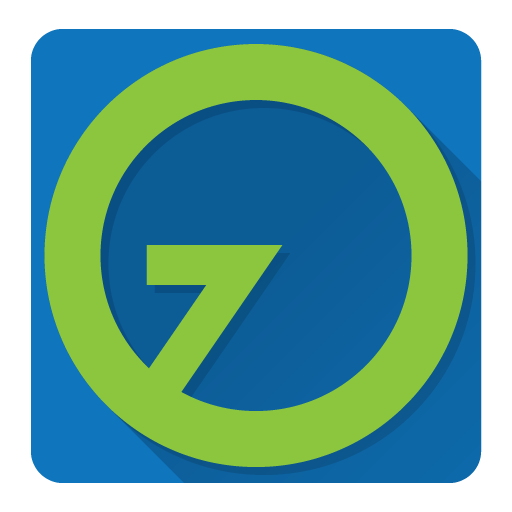 For a complete list of built-in intents, see Available Built-in Intents. Try Echosim.io for yourself. Simply visit the website and log in with your Amazon account. If you want to test your Alexa skill, be sure to log in with your developer account. Click and hold the microphone button and speak a command. For example, say “Alexa, what’s the weather today?” When you let go of the button, Echosim.io processes and responds to your voice command – give it a try. Haven’t built a skill yet? Get started with our step-by-step tutorials and build your first skill in under an hour. Trivia Skill template - A great place to start for any first time Alexa skills developer. This tutorial steps you through the end-to-end process of building a solid trivia skill and submitting it for certification. Fact Skill template - Another easy tutorial for both developers and non-developers to build an Alexa skill similar to "fact of the day" or "flash cards". How-to Skill template - This tutorial makes it easy to create a simple, direction-based skill for Alexa. 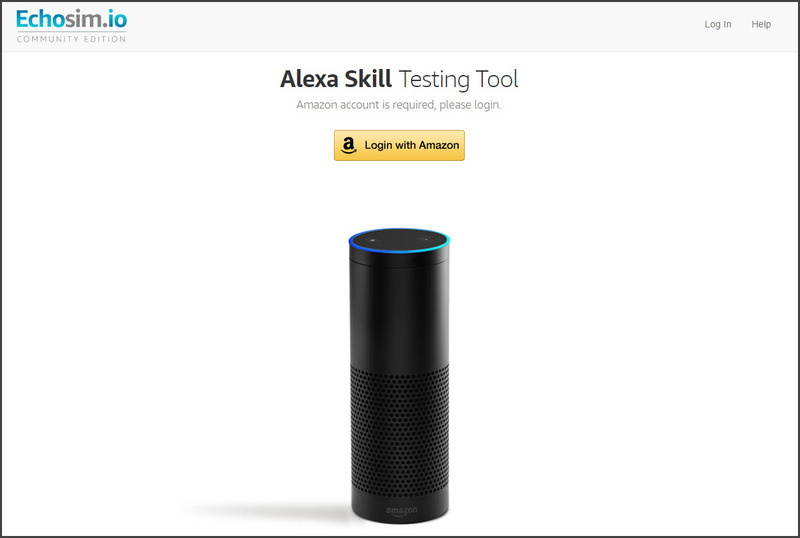 The Alexa Skills Kit is a collection of self-service APIs, tools, documentation and code samples that make it fast and easy for developers to add skills to Alexa. Justin Kovac, developer of 7-Minute Workout and Technical Program Manager for Alexa Skills Kit shares his experience and tips for diving head-first into building your own skills. To get started, Justin attended a hackathon – the perfect opportunity to learn the whole process, from concept to certification. "The 7-Minute Workout skill is extremely simple in concept," Justin believes. "After some brainstorming, I remembered an iOS app I used based on a New York Times article. It worked, but it felt awkward to have my phone on the table or floor while looking for the next exercise in the routine." That's when Justin began creating a proof of concept of his skill using Node.js and AWS Lambda, an Amazon Web Service where you can run code for virtually any type of application or backend service with zero administration. Below Justin discusses the top seven lessons he learned while developing the 7-Minute Workout. One of the things that the experience at the hackathon made very clear to me was the need to start with the voice experience, not the code. While skills are developed using the same tools and resources as you would use when creating an app, designing for voice feels distinctively different which makes it essential to understand VUI concepts first. The idea of triggering an action, like you traditionally would by the press of a button in an app, is now a variable of hundreds of potential values based on the customer’s request. So a customer could potentially say, “start a new workout” or “begin a workout” or “let’s exercise.” This guide is a great starting point to help you better understand Alexa Skills Kit, VUI, and how to keep users on the "happy path" when interacting with your skill via voice. With no prior experience building an Alexa skill, I needed the ability to dive right in. What I quickly realized was that there was no need to reinvent the wheel. Amazon’s included samples provide a great variety of functional building blocks to kick start your skill, including DynamoDB integration, multi-stage conversations, RESTful request to third-party APIs and more. Personally, I used 'Wiseguy' as a starting point for the 7-Minute Workout skill because of its simplicity and intent structure. For each sample, read the overview of features and don't forget to follow the README.md files for step-by-step instructions. Adrian Bolinger is a Bloc student and has developed three Alexa skills thus far. His most recent, Date Ninj a, builds upon Alexa’s ability to convert a spoken date into a slot formatted as a date in order to make day, week, month, and year calculations on the fly. With each skill, his need to monitor skill performance, optimize, and rollout subsequent releases has been a top priority. Adrian found a simple way to monitor the performance of his Alexa skills, to see which intents are being used and identify invocation issues with intents. He did it using the open source universal-analytics node module, with five lines of code per intent. Using the Big Nerd Ranch series as a basis, Adrian developed Date Ninja locally with a Node.js environment using the moment.js library. Installing universal-analytics with npm, Adrian found the process of implementing Google Analytics to be very easy. Earlier this year, we announced that Amazon was teaming up with developer education company Big Nerd Ranch to deliver immersive, free training for the Alexa Skills Kit. The training shows you how to build Alexa skills from start to finish, from setting up your dev environment to certification and more complex skill interactions like account linking. Here's a recap of the six-part blog training series. Implementing an Intent with Alexa-app and Alexa-app-server (part 2 of 6): In this second post, we’ll be using alexa-app as a framework to build our Alexa skill and alexa-app-server will allow us to test interacting with the skill locally. We will be using these libraries because they grant a path to supporting a local development and testing workflow with an Alexa skill, which allows us to rapidly test and develop. The Stanley Cup playoffs are underway—a perfect time to share the new Fantasy Scoreboards skill built by Macadamian, an international UX design and software development firm with offices in the U.S., Canada, Armenia, and Romania. Using the skill on NHL-connected Fantasy Scoreboards devices that are paired with an Amazon Echo or Fire TV, now Alexa can tell you the score of a specific game, what games are coming up, who played yesterday and even lets you set your favorite team. Here’s a demo of the skill in action. The Macadamian crew discovered that in some domain-specific cases, the Alexa sample utterances needed alternate spellings to make the voice recognition work. As an example, initially Alexa couldn’t distinguish between “the Avs” (nickname for the Colorado Avalanche) and “the Habs” (Montreal Canadiens). With Avs as a value in the custom slot, Alexa always thought the user said “Habs,” even when testing in a noise-free room with a native English speaker. What solved the problem was to spell the nickname Avs as Aves. Martin says that, in the beginning, the detection of “Canadiens” was not as reliable as desired. Again, the solution was to add Canadians as one of the slot values (although, interestingly, Alexa always sends Canadiens as the spelling). Read Martin’s blog post for more tips on resolving “fuzzy entry” points using the session.attributes functionality of Alexa Skill Kit (ASK) and adding special handling for misheard values with hexadecimal numbers.